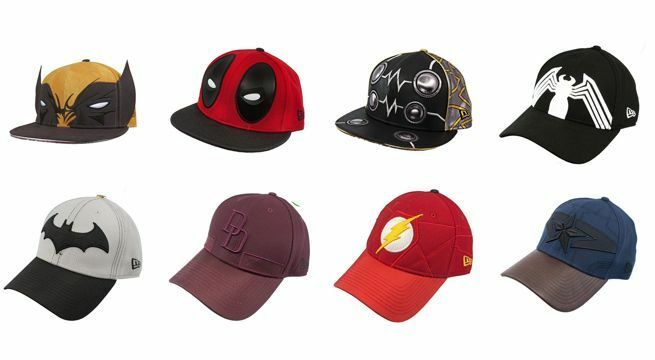 A line of Marvel and DC Comics superhero hats has arrived from New Era's 59Fifty and 39Thirty brands, and they're basically cosplay for your head. You can shop the entire collection right here, and make sure to use the code "TENOFF" at checkout to save 10%. Make sure to scroll down the page because there are a lot of options. 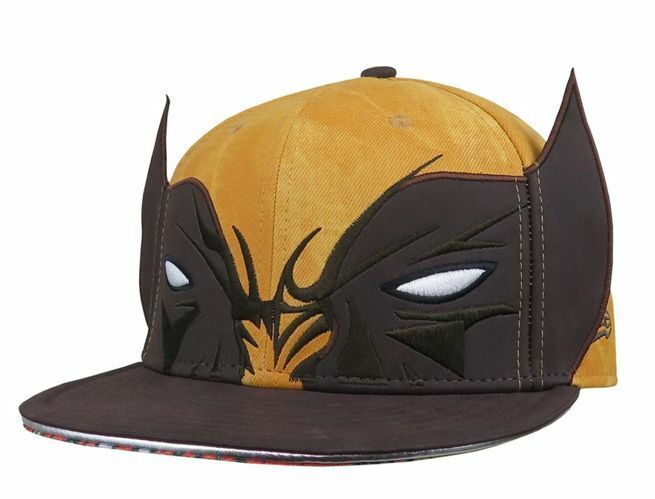 Other hats in the New Era Marvel and DC Comics collection include Deadpool 59Fifty (Cable vs Deadpool lining), Beta Ray Bill 59Fifty (Thor lining), Spider-Man 39Thirty (Black Suit with Kraven lining), Batman Hush 39Thirty (Court of Owls lining), Daredevil 39Thirty (Daredevil clock tower lining), Flash 39Thirty (Flashpoint lining), Captain America 39Thirty (Nomad armor), and more. The front panel features a unique take on the captivating logo with thick, elevated embroidery. And yes, that's the word "Infinity" resting vertically along the "A". The bill is flat, golden, and immaculately stitched to simulate layered gauntlet plating. Brighter, golden appliques accent the bill with spiraling embroidery conveying long forgotten cosmic runes. Under the bill you’ll find a glorious illustration of Thanos' Infinity Gauntlet! Actual Infinity Stones! 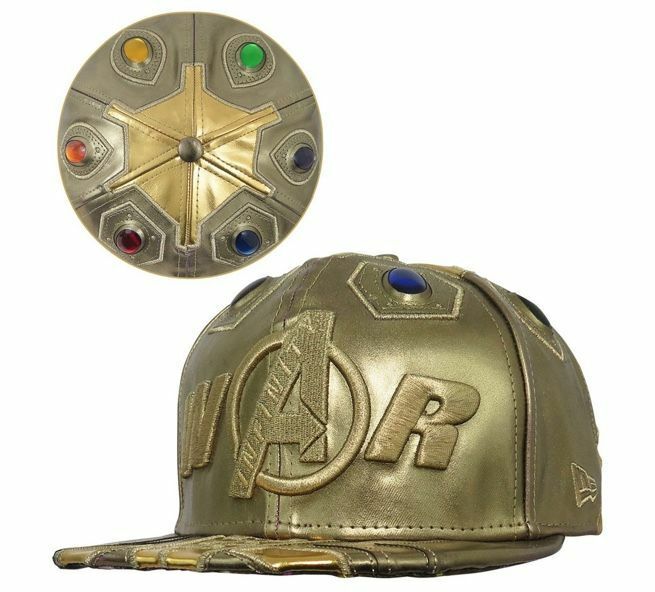 Yes, our Infinity Gauntlet hat is crowned with every single colored ingot capable of mangling reality and turning sharks into pancakes. Made from a clear, hard plastic, these faux Infinity Stones are filled with full, foggy colors to convey timeless elements crafted in the super-heated forge of the Big Bang. The back features a brighter, golden band layered with darker appliques bordered and accented with exquisite, winding embroidery. The cap's inner lining features six blinding illustrations of each and every Infinity Stone - they're paired with the appropriate Marvel hero who had personal dealings with said stones. The official New Era sticker? It's right there, resting soundly underneath the flat bill.